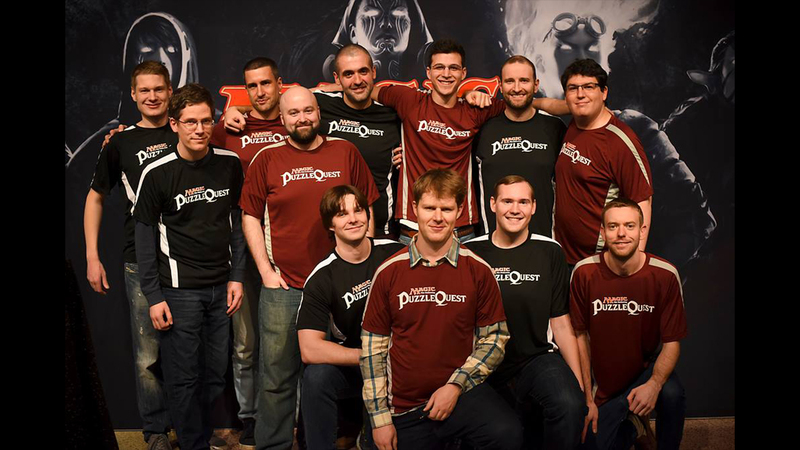 Watch Team Puzzle Quest and Team D3 Go! Compete at Pro Tour Amonkhet - D3 Go! Pro Tour Amonkhet (#PTAKH) taking place in Nashville is finally here! Both #TeamPuzzleQuest and #TeamD3Go are rolling into Music City with all cylinders firing. The 3-day event begins tomorrow (May 12) and the sponsored teams have been prepping for the tour together as a team in New York City for the last couple of days to compete at their highest level! At the Pro Tour Aether Revolt last February, Ben Rubin finished #19 (the top #TeamPuzzleQuest and #TeamD3Go finisher) after hovering around the Top Ten for most of the tour while Owen Turtenwald was the second highest finisher for both teams at #32. After Pro Tour Aether Revolt, Team D3Go! is ranked #15 and Team Puzzle Quest is ranked #10 and have goals to improve upon this spot in the upcoming tours. Find out more about our top two finishers in a special interview with Forbes Games as they discuss how they prepare for the tour and what it’s like to be a participant. Watch all the Pro Tour action starting on May 12 in Nashville, Tennessee and the coverage will be streaming on Twitch. And follow the team members as they compete in the tour all weekend long (see Twitter handles below). Magic: The Gathering – Puzzle Quest will be launching Amonkhet and entering the desert oasis in just a couple of days. Download Magic: The Gathering – Puzzle Quest for FREE on the App Store and Google Play HERE and get ready to wage war in epic puzzle battles today!